Finding a Financial Professional | David A. Domenick Investments and Capital A Financial & Insurance Associates, Inc.
Mailing Address different from Residency? How did you hear about Capital A Investments? If so, what changes are you expecting? Are you comfortable with your current cash flow? Do you anticipate any significant changes in your cash flow? Do you anticipate any major expenditures in the near future? If so, what expenditures are you expecting? Do you have any potential health problems? Do you have adequate medical coverage? Do you have adequate disability coverage? Do you have adequate personal liability coverage? Do you have an emergency fund (money set aside in savings)? Do you have updated/adequate wills? Have you established any trusts? Will you be receiving a significant inheritance? Have you adequately considered estate tax? Have you provided adequate estate liquidity for your heirs? Is proper titling a concern? Do you have long-term health care coverage? What are your major objectives for your investments? Assuming normal market conditions, what would you expect from this investment over time? Suppose the stock market performs unusually poorly over the next decade. Then what would you expect from this investment? Which of these statements would best describe your attitude about the next three years’ performance of this investment? Which of these statements would best describe your attitude about the next three months’ performance of this investment? To schedule a time to discuss your financial future and the possible role of investments and insurance in your financial strategy, contact us at info@capitalainvestments.com or call us at 724.658.4211 today! 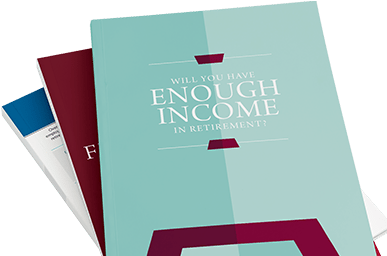 This retirement kit includes three guides that address topics you should consider when planning your retirement. Enter your information to get your guides!